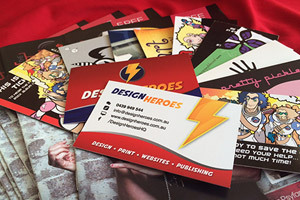 Save on Highest Quality Business Cards! Each month we offer Online specials - stay tuned or sign up for our newsletter! Operating from the creative hub of the Blue Mountains, we're on the pulse of printing with the latest technology and software and can deliver your job Australia-wide. We work online with you so no matter where you are in the country we can help. Printing is our passion, and we'd love to get your business growing through print and design. Drop us a txt, email or call today 0468 4 PRINT.